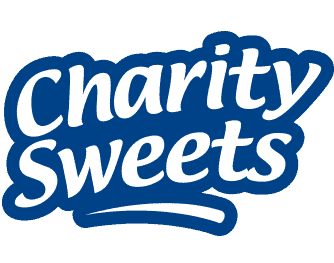 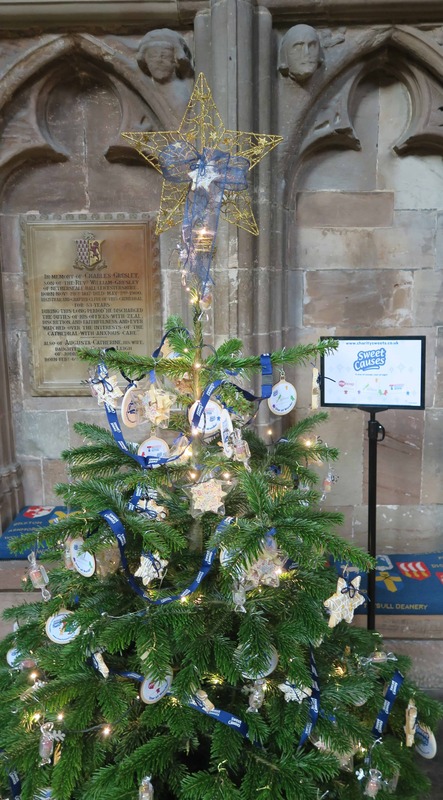 LICHFIELD CATHEDRAL – CHRISTMAS TREE FESTIVAL 2017 – Charity Sweets by Sweet causes Ltd. This year’s theme is called ‘Star of Wonder’. 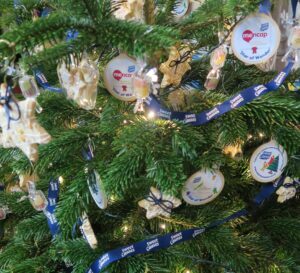 Well here it is, our tree, no we haven’t bother with ribbon this year, company lanyards did the job just fine! 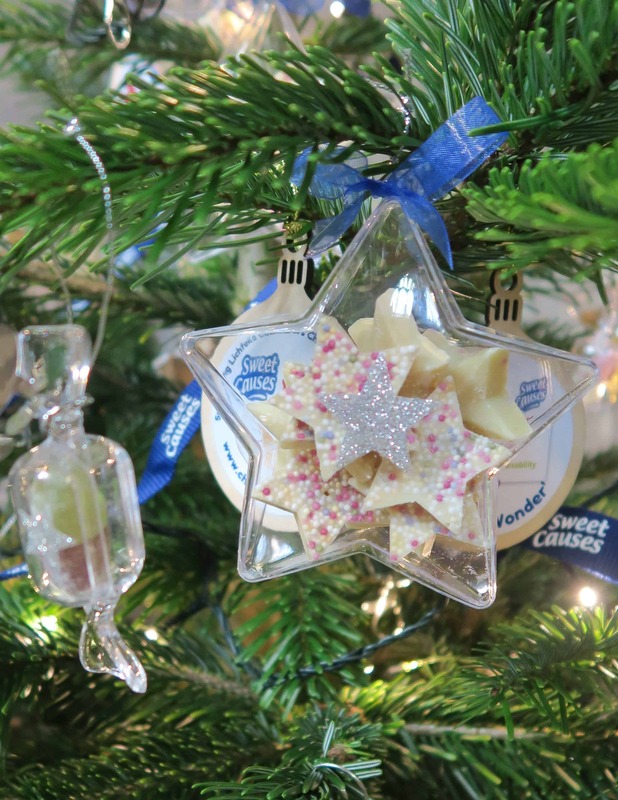 Acrylic stars and sweetie capsules containing white chocolate sprinkled stars and tiny jelly dew drops, homemade orange and cinnamon Christmas cookies. Baubles – Mencap, Teenage Cancer Trust and Children’s Air Ambulance.